Whenever a true Olympic fan hears the word Olympics, two things usually immediately come to mind, the five Olympic rings that represent the five parts of the world that partake in the events and the symbolic torch that carries the Olympic flame from Greece to the Olympic venue. 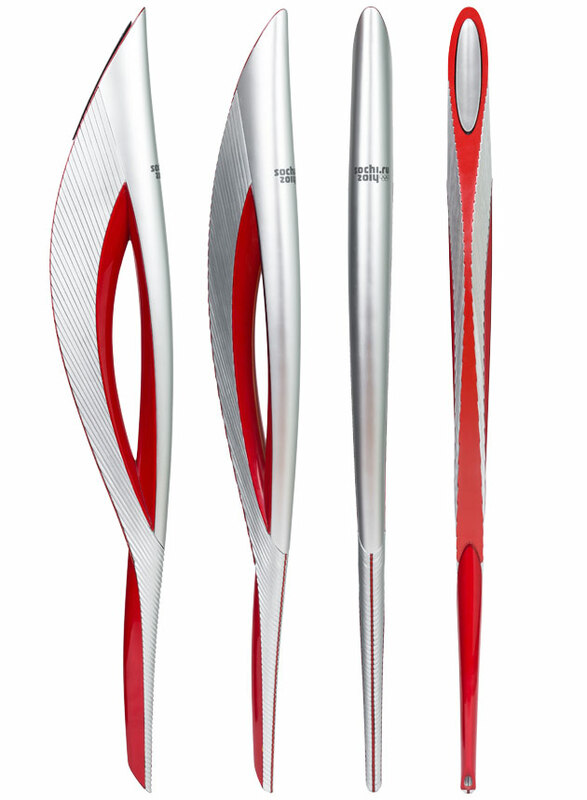 The 2014 Winter Olympics will be held in Sochi Russia, and organizers recently unveiled a futuristic torch. "The Olympic torch is one of the key symbols of the Games," Sochi 2014 chief Dmitry Chernyshenko told a packed news conference in Moscow's landmark shopping arcade just a few steps from Red Square, with the Kremlin walls in the background. "In our case, it symbolizes the beauty and diversity of Russia." The torch will pair the traditional red color of Russian sport, with the most popular color in Olympic torch history, silver. The torch will weigh less than four pounds and will combine the mythical Phoenix with a new space aged technology. The Phoenix is believed to be a symbol of good fortune and happiness according to Russian Folklore. With this torch making the longest trip in Winter Olympics History, it had its weight and center of gravity meticulously calculated and tested to ensure that its design offers torch bearers the most comfort available. "Our torch is really state-of-the-art. It combines such incompatible things like cold metal with fire, which is very symbolic because for the first time in history Winter Games will be held in a subtropical city," Chernyshenko said in a statement in reference to the Russian Black Sea resort. This particular torch will be carried by 14,000 torch bearers beginning in the Greek town of Olympia, then it make its 40,000 mile journey across the globe and through 2,900 towns and villages across all 83 regions of Russia.